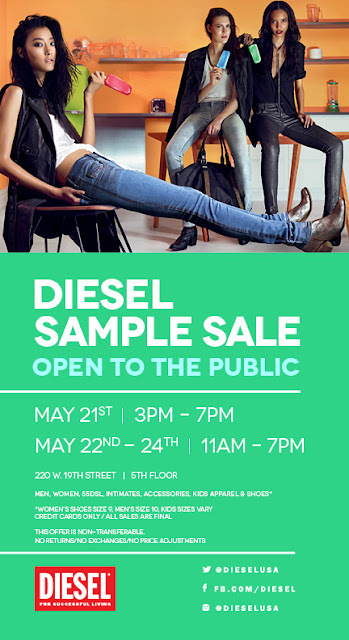 UPDATE 5.23.13- OJ&B HAS LEARNED THAT THE DIESEL SAMPLE SALE HAS SOLD OUT AND WILL BE CLOSING TODAY (5.23.13) at 3pm! Congrats to the Diesel Team! Look out for next season's sale announcement on OJ&B in the future. 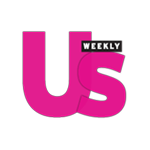 One of OJ&B's BFF's is having a sample sale this week and it is going to be fierce! That's right, Diesel will be having it's sample sale May 21st and 22nd! Check out the details below and check out the SPECIAL OFFER for OJ&B's guys and gals on May 22nd! REMEMBER: This offer is NON-TRANSFERABLE! NO REFUNDS/NO EXCHANGES/NO PRICE ADJUSTMENTS (so don't get crazy)! You know OJ&B likes to break the rules sometimes just for it's guys and gals so I have an special offer for all of my fab readers on the last day of sale! Check it out (we are going to ignore the 'no price adjustments' and hook you up with a 20% discount)! On May 22nd OJ&B readers get an additional 20% of the sample sale price!! This is a one day only offer for MAY 22nd ONLY! You must bring a print out of the blue flyer to the sample sale or show them this post via your smart phone! You know I always try to hook up my guys and gals!